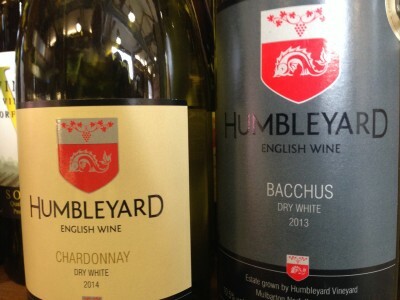 Based in Mulbarton just outside of Norwich, Humbleyard English wines tell us they are proud to be part of the new and exciting English wine movement. Following on from the success of English sparkling and still wines at international competition level, they are striving to continue the success with their own Norfolk still and sparkling wines. As one of a number of Norfolk vineyards it is an exciting time for the East Anglian region, as there have been notable achievements at national and international competition level. The slopes of the Humbleyard vineyard fall away to the south, and beyond the crest of the vineyard, framed by a line of ancient oaks, lies the valley where the Humbleyard Hundred, the legislative and taxation court, met on a monthly basis during Anglo-Saxon times. They selected the site for Humbleyard Vineyard because they had grown excellent early ripening soft fruit on these south facing slopes over the past 35 years. Warm, well drained and largely protected from frost, it has proved to be the ideal location for the vines.